Posted on 25/05/2016 10/06/2016 by Cardiag Inc. This is the latest software update (released on 2016.05.25) for Enigma Tool device. Please contact us if you need more information about this Enigma Tool update or if you want to purchase it. If you need software update price calculation by email or phone please do not forget to specify serial number of your Enigma Tool device. FORD Mondeo 2016 Visteon SPC5606 + 24C32 – software for data programming by OBD2. Honda Pilot 24C16 2016 – software for data programming by OBD2. FIAT Ducato EDC16 95640 V2 – software for data programming by OBD2. Suzuki Jimmy MB91F061 – software for data programming by OBD2. Hyundai Genesis UPD70F3423 + 24C16 – software for data programming by OBD2. Hyundai Genesis 24C16 – software for data programming by OBD2. Isuzu Sumo 93C66 – software for data programming by OBD2. Lexus IS300H 93C66 MSOP – software for data programming by OBD2. Maserati Quattroporte GTS 95160 – software for data programming by OBD2. Moto Guzzi Breva 1100 24C16 – software for data programming by OBD2. Nissan Maxima 24C16 – software for data programming by OBD2. Nissan Navara 93C86 – software for data programming by OBD2. Nissan Teana 93C86 V2 – software for data programming by OBD2. Peugeot 3008 HYBRID BSI 95128 – software for data programming by OBD2. Subaru Levorg 93C76 – software for data programming by OBD2. Subaru XV 2016- 93C86 – software for data programming by OBD2. Yamaha Tenere 93C66 MSOP – software for data programming by OBD2. Hyundai 24C16 – software for data programming by OBD2. KIA 24C16 – software for data programming by OBD2. Enigma Tool – 3.27 was last modified: June 10th, 2016 by Cardiag Inc.
Posted on 04/12/2014 20/04/2017 by Cardiag Inc. This is the latest software update (released on 2014.12.04) for Enigma Tool device. Please contact us if you need more information about this Enigma Tool update or if you want to purchase it. If you need software update price calculation by email or phone please do not forget to specify serial number of your Enigma Tool device. Enigma Tool – 3.15 was last modified: April 20th, 2017 by Cardiag Inc. This is the latest software update (released on 2014.04.09) for Enigma Tool device. Please contact us if you need more information about this Enigma Tool update or if you want to purchase it. If you need software update price calculation by email or phone please do not forget to specify serial number of your Enigma Tool device. 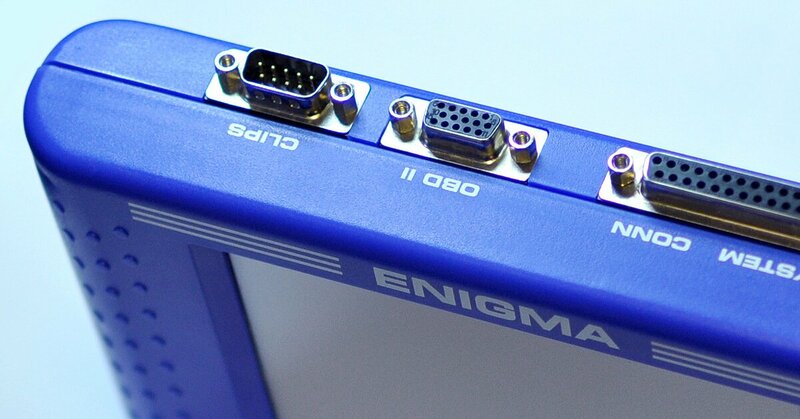 New hardware available for Enigma Tool since release of this update. It’s a Enigma Tool A14 adapter, designed to solve problem of reading TSSOP EEPROM chips if they are too small to solder any cable directly to them. Mercedes-Benz A class (W176) DASH 95640 read/write EEP supported – software for data programming via OBD2. Mercedes-Benz B class (W246) DASH 95640 read/write EEP supported – software for data programming via OBD2. Mercedes-Benz CLA class (W117) DASH 95640 read/write EEP supported – software for data programming via OBD2. Mercedes-Benz ML class (W166) DASH 95640 read/write EEP supported – software for data programming via OBD2. Mercedes-Benz SL class (R231) DASH 95640 read/write EEP supported – software for data programming via OBD2. Mercedes-Benz SLK class (W172) DASH 95640 read/write EEP supported – software for data programming via OBD2. FORD Galaxy (2007-) MAC+24C16 with big color LCD – software for data programming via OBD2. FORD Mondeo (2007-) MAC+24C16 with big color LCD – software for data programming via OBD2. FORD S-MAX (2007-) MAC+24C16 with big color LCD – software for data programming via OBD2. Land Rover Freelander (2013-) – software for data programming via OBD2. OPEL ADAM (2013-) BCM 25160 – software for data programming via OBD2. FORD Fiesta 9S12HZ256 – software for data programming via OBD2. Mazda BT50 (2012-) NEC + 24C16 – software for data programming via OBD2. FIAT Doblo (2014-) OBD2 – menu improvements and new software versions added. Mercedes-Benz G class (W463) added to menu – menu improvements and new software versions added. Mercedes-Benz GLK class (X204) small display sw added – menu improvements and new software versions added. Mitsubishi Lancer (2012) Visteon 9S12HZ128 – menu improvements and new software versions added. Skoda Rapid (2012-) VDO NEC + 24C64 OBD2 – menu improvements and new software versions added. VolksWagen Fox (2013-) NEC + 24C64 OBD2 – menu improvements and new software versions added. VolksWagen Transporter T5 Nec + 24C32 OBD2 – menu improvements and new software versions added. VolksWagen Transporter T5 Nec + 24C64 OBD2 – menu improvements and new software versions added. Aixam Aixam 95020 – software for direct EEPROM data programming. Daihatsu Cuore 93C66 – software for direct EEPROM data programming. 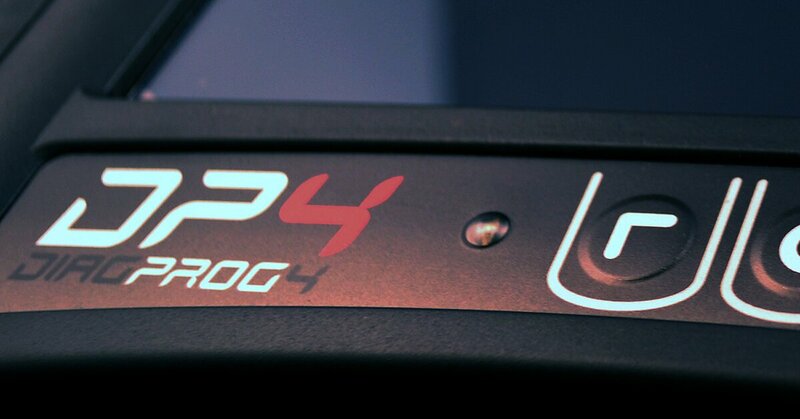 Honda CRZ 93C76 – software for direct EEPROM data programming. Honda Integra RA57 – software for direct EEPROM data programming. Hyundai I30 Visteon 24C16 – software for direct EEPROM data programming. Hyundai I35 93C66 – software for direct EEPROM data programming. Infinity FX 35 93C76 – software for direct EEPROM data programming. Kawasaki ER6 2011- 93S66 TSSOP – software for direct EEPROM data programming. Lancia Zeta HC05 – software for direct EEPROM data programming. Mahindra Xylo 93S56 – software for direct EEPROM data programming. Mercedes-Benz B class (W246) Dash 95640 – software for direct EEPROM data programming. Nissan Teana 93C86 – software for direct EEPROM data programming. Peugeot 308 Bsi 95128 new SW – software for direct EEPROM data programming. Peugeot 308 Dash 93C86 – software for direct EEPROM data programming. Suzuki Boulevard 93C56 TSSOP – software for direct EEPROM data programming. Suzuki Fun 93C56 V2 – software for direct EEPROM data programming. Suzuki SV650 93C46 fix – software for direct EEPROM data programming. Toyota Etios 93C56 – Brasil – software for direct EEPROM data programming. Toyota Vios 93C66 TSSOP – software for direct EEPROM data programming. Yamaha BT1100 24C02 V2 – software for direct EEPROM data programming. Yamaha Fazer 93C46 – software for direct EEPROM data programming. Yamaha XJ6 93C56 – software for direct EEPROM data programming. Enigma Tool – 3.11 was last modified: April 20th, 2017 by Cardiag Inc.
Posted on 06/11/2013 20/04/2017 by Cardiag Inc. This is the latest software update (released on 2013.11.06) for Enigma Tool device. Please contact us if you need more information about this update or if you want to purchase it. If you need software update price calculation by email or phone please do not forget to specify serial number of your Enigma Tool device. Dodge Dart (2012-) read/write EEPROM – software for mileage programming via OBD2. FIAT Palio Magneti Marelli 95160 – software for mileage programming via OBD2. FIAT Punto Magneti Marelli 95160 – software for mileage programming via OBD2. FIAT Siena Magneti Marelli 95160 – software for mileage programming via OBD2. FIAT Strada Magneti Marelli 95160 – software for mileage programming via OBD2. FORD Fiesta (2013-) 9S12XEQ384 – software for mileage programming via OBD2. SAAB 95 (2010-) – software for mileage programming via OBD2. Volkswagen GOLF VI (2012-) NEC 24C64 – software for mileage programming via OBD2. Volkswagen TIGUAN (2012-) NEC 24C64 – software for mileage programming via OBD2. Volkswagen TOURAN (2012-) NEC 24C64 – software for mileage programming via OBD2. Mercedes Benz CLS W209 – new software versions added to existing programs. Mercedes Benz E Class W212 TX49 Color LCD – new software versions added to existing programs. Volkswagen GOLF V Visteon 95160 – software for checksum repair via OBD2. Chevrolet Bakkie 160D0WQ Super Eraser – software for direct eeprom programming. Dacia Dokker 95160 – software for direct eeprom programming. Kia Opirus 93C56 – software for direct eeprom programming. Mercedes Benz CLA C117 Dash 95640 – software for direct eeprom programming. Nissan 370Z 93C86 – software for direct eeprom programming. Proton Suprima 24C16 – software for direct eeprom programming. Toyota Auris Hybrid 93C66 – software for direct eeprom programming. Toyota Rav4 93C66 (TSSOP8) – software for direct eeprom programming. Yamaha Neos 93C46 – software for direct eeprom programming. Enigma Tool – 3.07 was last modified: April 20th, 2017 by Cardiag Inc.